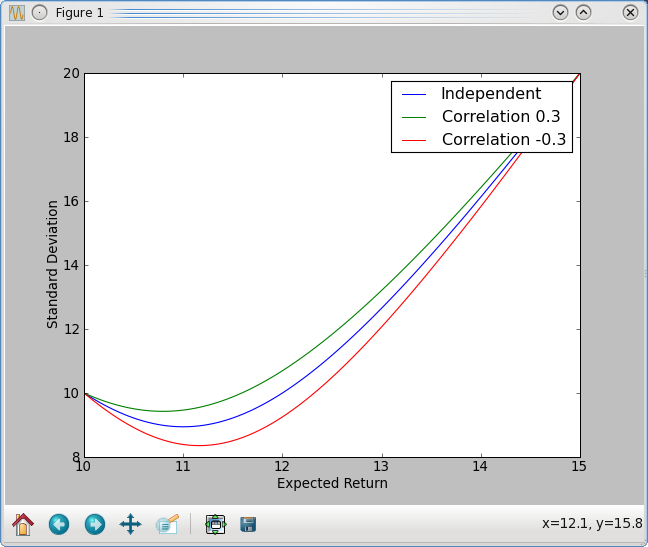 Can scipy be useful for economics and social sciences? The answer, of course, is yes. One of the best known methods of minimising risk is insurance. However, it came into existence in the 1600's. Economic theory, like insurance, is heavily based on statistics. Economic models are not perfect as the global recession in the last few years have shown. It is not that modelling is wrong. Rather, more complex models are needed. Human behaviour cannot be ignored. As models get more complex, spreadsheets with macros will not be adequate and more complex tools will be needed. An example of the possibilities is an interesting commercial product Resolver One which blends a spreadsheet-like interface with the ability to program in python(ironpython) and includes some support for NumPy. It is likely that scipy will find proponents among social scientists as well. You can be among the early converts. Explore a few trivial examples in order to get an idea of the tools available. 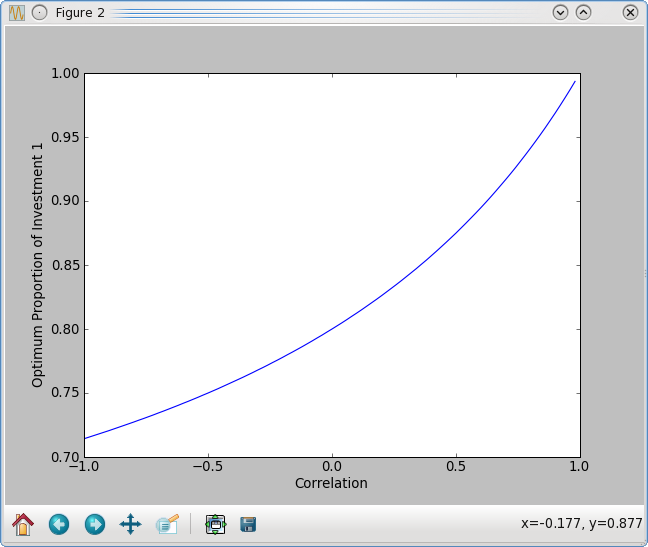 You can use the matplotlib to plot this equation for several values of correlation and visualise it. The plot is shown in Figure 1. The safest investment has a mixture of both and gives a better return than the safer of the two. If only finding the correct model in economics were easier! You can use the scipy's linalg module to solve this problem as follows, where the four columns are c, p, r, i. You now have 4 equations but 5 unknowns. So, you can use the lstsq method and get a solution. The first array in the result contains the recommended values for the 5 parameters. The solution is undesirable, even if realistic. It suggests that 59% of the money be wasted! Your model will need to minimise wastage. Scipy as yet does not include a module for optimising a utility function subject to constraints. One project extending scipy for this functionality is OpenOpt. OpenOpt uses python-cvxopt as one of the solvers. So, you will need to install python-cvxopt, whichis available in the Fedora or Ubuntu repository. OpenOpt can be installed from http://openopt.org/. If everything goes well, you should see the result that wastage should be zero. You can explore alternate optimisations, e.g. maximize c (minimise -c) or minimise (w – c), etc. Your constraints can include inequalities as well. OpenOpt includes non-linear optimisation tools as well. Scipy and extensions make it easy to formulate and explore solutions of the problems. Matplotlib makes it easy to visualise the results. So, you can focus on the creative and hard part of defining the models and prevent any future crises in economics! The guest lecture on the management of financial portfolio of Yale university is very interesting.